The title of Jacqueline Humphries’s recent exhibition, “Past Out,” is obviously a play on words, but it’s a pun that—when taken as an edict—delivers a real punch. 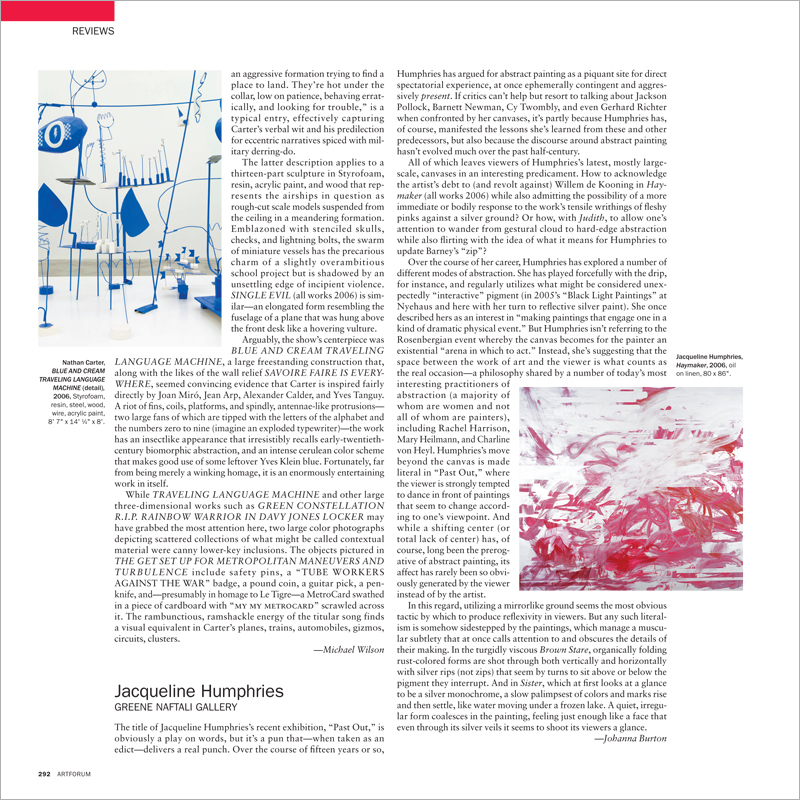 Over the course of fifteen years or so, Humphries has argued for abstract painting as a piquant site for direct spectatorial experience, at once ephemerally contingent and aggressively present. If critics can’t help but resort to talking about Jackson Pollock, Barnett Newman, Cy Twombly, and even Gerhard Richter when confronted by her canvases, it’s partly because Humphries has, of course, manifested the lessons she’s learned from these and other predecessors, but also because the discourse around abstract painting hasn’t evolved much over the past half-century.